The new version of the Plumber game is here. 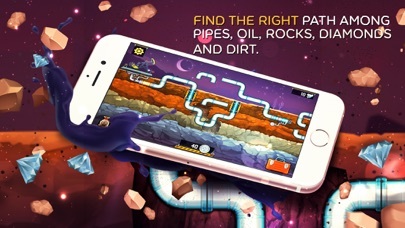 With 300 new levels, Plumber 3 is the new way to play the famous connection game where you just need to assemble the pipelines. While technology seems to be more advanced than ever, traditional crafts are losing the fascination and enthrallment they used to enjoy a few decades ago. As children, everybody wanted to be a fireman, a policeman or a plumber. Nowadays, I bet your dream job isn’t related with plumbing, at least until you start playing Plumber 3!! 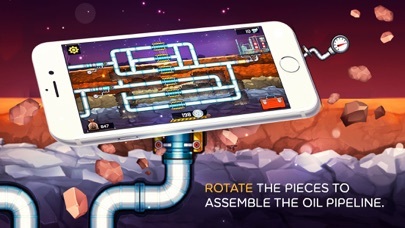 Just like in real life, your mission is to prevent leaks and deluges by connecting the pipes and allowing a successful flow through the pipeline. Instead of a physical effort, you will need to show some logic skills if you do not want to be flooded in problems. Plumber 3 tests your logic, your work discipline and the efficiency to manage resources, since you have a budget and you must use it wisely. Your goal is to find a usable path between the energy source and the factory, spending the less you can. You will notice your bank balance decreasing each time you move a pipe. On the other hand, the difficulty will increase every time you solve a new challenge. Only a great Plumber will prevail to all this bedlam! In Plumber 3, you will be wrapped into an enterprising environment, where the “let’s do it!” motto will echo in your head several times. This motivational spirit is also present in the way the game mixes reality with all the classic features Plumber had in previous versions. The soundtrack also appeals to that epic feeling of achievement! To be the best plumber, you will have always to plug the right strategy to the resources available. Saving money, you will enjoy more moves in further levels and you will be able to use the special features included into your red toolbox: a pickax, a blueprint and the undo button. All these tools will ease your job. In the end of each level, you will get a number of stars regarding the quality of your performance. You will need those stars to keep progressing in the plumbing world! Gratifications will be delivered every time you complete the pipeline and see the energy flowing through the pipes. That means you are being an excellent plumber. You can always challenge yourself to create the longest pipeline ever made, since the levels are continuous. Go for a Guiness Record, if you can! This is a perfect game to play in dead times, especially in stressful situations like traffic or in public transport. 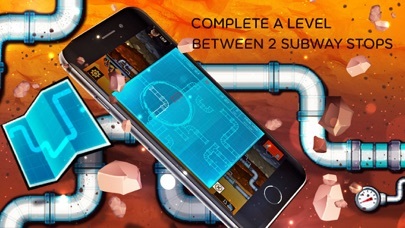 Can you finish a level between two subway stops? Unlikely, I would say. The Plumber is one of the most acclaimed game franchises worldwide and Plumber 3 is the best version ever released! Accept our challenge and let’s do some plumbing! How to play Plumber 3? Plumber 3 is very simple and intuitive. After a couple of levels, you will immediately understand how it works and everything will become clearer and clearer while you progress. As the difficulty increases, you will feel more than ready to offer solutions to harder problems. 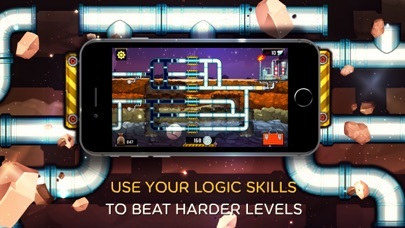 To complete the level, you have to rotate the pipes and create a perfect pipeline. Once the oil starts to flow, you got it! Can I save my game progress? The app saves your game progress, so you can resume in the level where you stopped in the previous game session. You can check that in the game map. This allows you to maintain your progress, always discovering new levels and different pipelines. Do I need to pay anything to play Plumber 3? 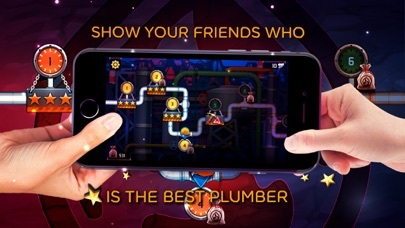 Plumber 3 is completely free and you don’t need to pay to play the game. However, you can buy diamonds that will help you to use the toolbox features and solve the levels. Besides this, you can also remove the ads for a symbolical price and enjoy a cleaner version of the game.